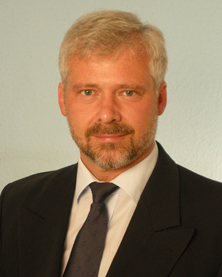 Christoph Bourauel is Professor and Head of the Department of Oral Technology at the University of Bonn. He studied Physics at the University of Bonn and received his Diploma in Laser Spectroscopy at the Institute of Applied Physics of the University of Bonn. He earned a Dr.rer.nat. in Physics with an interdisciplinary study on orthodontic nickel titanium alloys under the supervision of Gottfried Schmuth at the Orthodontic Department of the University of Bonn. He has also completed his Habilitation at the Medical Faculty of the University of Bonn and received his venia legendi in the field of Experimental Dentistry and Biomechanics. His research has generated around 300 papers and 5 book chapters, which have received 5000 citations with an h index of 39 (google scholar). He has supervised some 100 Dr.med.dent. candidates, 20 PhD or Dr.rer.nat. and 30 Diploma or Master’s candidates. Prof. Bourauel serves as Convenor of the Standards Group on Orthodontic Products in the German Standards Organization and as Convenor of the Standards Group ISO/TC 106/SC1 WG17 – “Orthodontic anchors”. He was President of the German Society of Biomechanics and served as the Editor-in-Chief of the Journal of Dental Biomechanics, Editorial Board member in 4 and reviewer in 47 periodicals in the areas of materials science, biomechanics, orthodontics, implantology, and biomedical engineering. Work under his supervision has received numerous honours and awards, including the Helen and B.S. Dewel Award by the American Association of Orthodontists, several best poster prizes of the European Orthodontic Society, the German Society of Orthodontists, the German Society of Dental Implantology and the German Society of Implantology, the ARUP Prize for Innovative Contribution to Applied Biomechanics/Biomedical Engineering, as well as two WJB Houston research poster awards of the European Orthodontic Society and the Distinguished Teacher Award of the EOS.